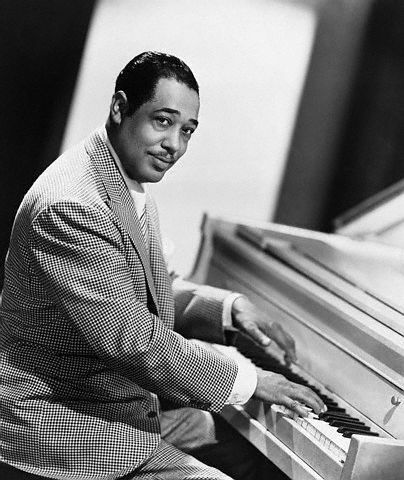 Life of Duke Ellington is an example how one mans determination took him to the top of the Jazz Society. 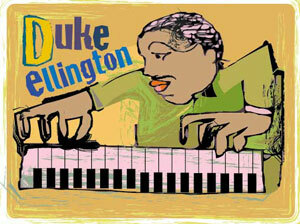 Duke is another 'Father of Jazz" and is considered one of the greatest musicians/composers Ever! Can you hear me? EVER!! Recognized during his life as one of the most influential figures in jazz, if not in all American music, Ellington's reputation has increased since his death, including a special award citation from the Pulitzer Prize Board. THE CAT WAS SO COOL, THAT ANYWHERE YOU GO SOMEBODY HAS HEARD OF "DUKE"! Ellington called his style and sound "American Music" rather than jazz. Duke was so good an arranger of music that each musician had their own music and they were loyal to the cat...some of whom were themselves considered among the giants of jazz and remained with Ellington's orchestra for decades. While many were noteworthy in their own right, it was Ellington that melded them into one of the most well-known orchestral units in the history of jazz. He often composed specifically for the style and skills of these individuals. He frequently collaborated with composer-arranger Billy Strayhorn, who he called his alter-ego.